Located on Detroit’s western border, Dearborn, Michigan, is one of the state’s most populous cities. At 24.5 square miles, the city has grown from a farming community into a key manufacturing hub and the home of Ford Motor Company. In the early 19th century, the Detroit Arsenal, located in the city of Detroit, was relocated to Dearborn on the strategically important Chicago Road (now Michigan Avenue). (One of the eleven buildings that made up the Arsenal still stands as a Michigan State Historic Site.) 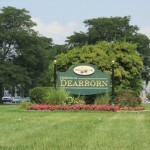 People and businesses followed, leading to the incorporation of the town of Dearborn in 1893; it became a city in 1927. Henry Ford, born in nearby Greenfield Township in 1863, headquartered Ford in Dearborn, and the company’s influence is still widely felt throughout the city today: The Dearborn Proving Grounds were once the Ford Airport, the Henry Ford Museum is visited by hundreds of thousands of guests every year, and the company’s headquarters and administrative buildings employ thousands of people. In a nod to the middle class, Henry Ford helped to create, many of the homes in Dearborn are one-or-two story bungalows ranging from about 1,000 to about 2,000 square feet in size. Many were built in the 1940s, though you can find many homes from the 1920s throughout the city, and a small handful of relatively new homes scattered mostly on the city’s northeast side. Residential streets are tree-lined and typically quiet, though the occasional block party does pop up. Residents of Dearborn attend one of the 33 schools in the Dearborn Public Schools system. Eight private schools are open in Dearborn, as are four charter schools. For higher education, the University of Michigan has a large campus in Dearborn, and the Henry Ford Community College, opened in 1938, is cheekily called the “Harvard on the Rouge” after the Rouge River. 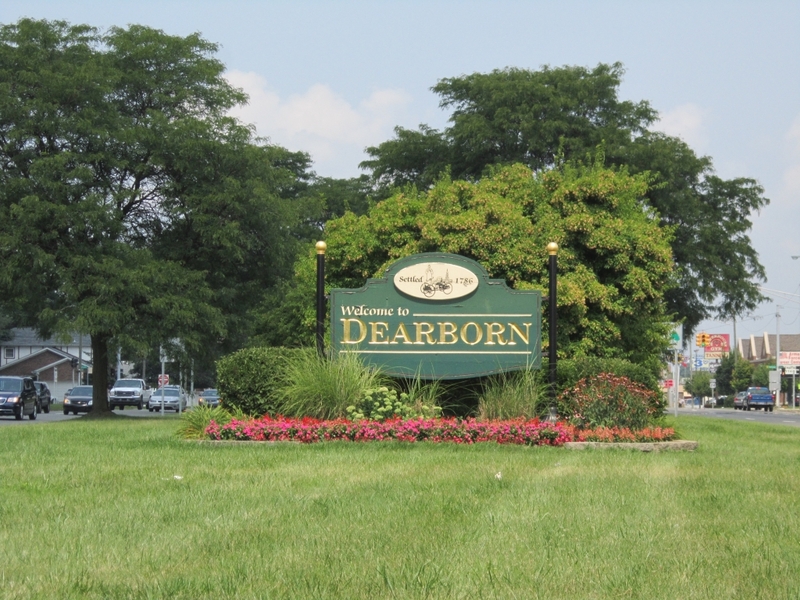 Residents of Dearborn are encouraged to take advantage of the city’s 43 public parks, 6 public outdoor swimming pools, and 19 public tennis courts. The Dearborn Ice Skating Center has two indoor ice rinks, and there are three golf courses within city limits. All are welcome at the Henry Ford Museum-Greenfield Village, a National Historic Landmark that attempts to showcase how Americans lived and worked at the turn of the century and present highlights of the Industrial Revolution. Among other exhibits, the museum houses Thomas Edison’s lab and the Wright Brothers’ bicycle shop.